Tim Lee was born and raised in southern Illinois to John and Wanda Lee. His father pastored Southern Baptist Churches for 60 years. In 1971 while serving in the United States Marine Corps in South Vietnam Tim Lee gave both of his legs to America. Instead of quitting or becoming bitter God used this major event in Tim's life to propel him into a ministry that no one could have imagined at that time. Tim pastored for five years in southern Illinois. He understands the rigors, challenges and difficulties and the blessings of being a pastor. He has spent the past 40 years in active ministry as a full time evangelist. He has ministered in 49 states and numerous countries of the world. 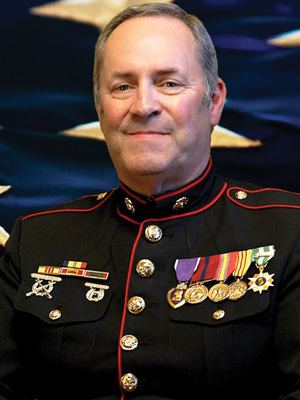 He has addressed thousands of local churches, Christian schools, civic organizations, colleges and universities as well as hundreds of special patriotic events. 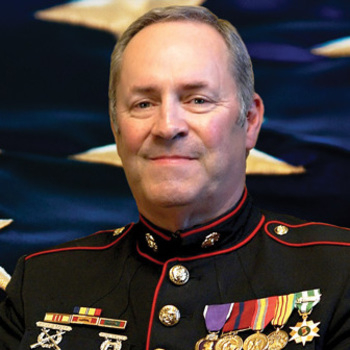 Tim Lee is known as the "Legendary Speaker" at MCRD Parris Island, where he speaks to thousands of Marines and Marine Recruits every year. For 25 years Tim and his family have hosted one of the most exciting teen camps in America called YOUTH ALIVE. Tim Lee has a contagious zeal for revival and a fervent desire to win the lost to Christ. Since 1979 he has flown over 6 million miles to bring a strong message of revival, powerful biblical challenges to the family and a sobering message to the staggering moral and social needs so prevalent in our society today. Tim has been on the Board of Trustees at Liberty University since 1991 and has maintained close contact and communication with a major cross-section of our nation's brightest, most gifted and most talented educators, thinkers, innovators and young students. He is admired by United States Congressmen and Senators, Mayors, and Governors, leading sports personalities and by tens of thousands of military Veterans. He is the pastor's friend. Tim Lee is not your "typical" evangelist: in appearance--he speaks from a wheelchair--however most people within the first 5 minutes of listening to Tim forget all about the wheelchair and they become engrossed in the message that he is preaching. Tim Lee connects with his audience. With his passion and his deep burden for America and in his amazing ability to reach and appeal successfully to the person sitting in the pew, young and old, God is using Tim Lee to make a huge impact for the cause of Christ.